Thank you for adding an Adult Learners’ Week event for 2018. 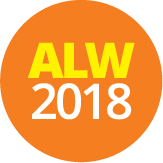 We are very excited about this year’s ALW2018 celebrations and so glad that you will be part of this. Don’t forget, there are also $1,000 cash prizes on offer for the best ALW events chosen around Australia! We will now review your event and publish it shortly. In the meantime, feel free to use any of the #ALW2018 resources.